The Pic-a-daily Project: A wise man once said..
"There is only one time when it is essential to awake. That time is now"
He sure knew what he was talking about. That kinda statement is forever relevant. 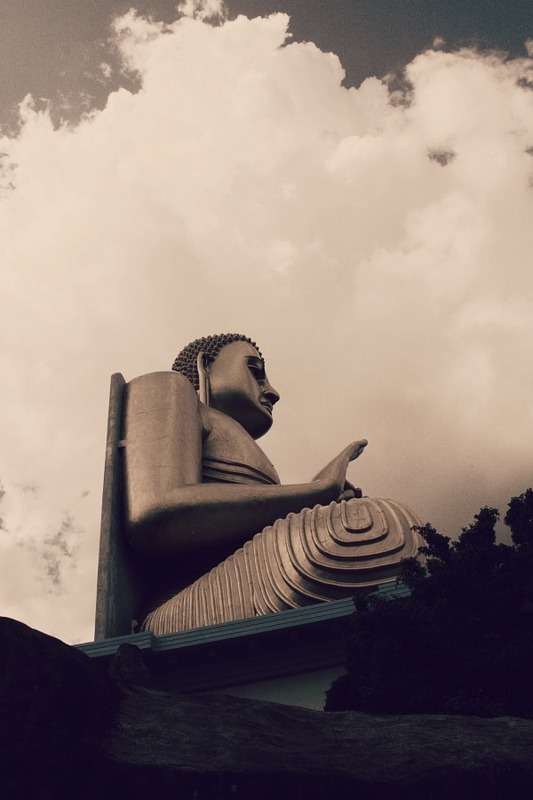 This image is from the base of the Buddha sculpture at the Golden Temple in Dambulla, SL. This gold plated monument is approx 100 feet in height and has the Buddha in the 'Dhamma Chakka' posture. Incredible stuff ya'll.